Amy Adams is an American movie actress whose first major role was in the 2002 film Catch Me If You Can opposite Leonardo DiCaprio. However, it was her leading role in the 2007 Disney musical Enchanted that thrust her into the spotlight. She has since been nominated for an Academy Award for Best Actress (American Hustle), four Academy Awards for Best Supporting Actress (Junebug, Doubt, The Fighter, The Master). She has also been nominated for a number of Golden Globe Awards including winning for Best Actress in a Comedy or Musical for American Hustle(2013) and Big Eyes(2014). Amy Adams has royal ancestry in her family tree including a direct descent from King Edward I and a kinship to Queen Elizabeth II. She also has a family connection to a number of former U.S. Presidents including Thomas Jefferson, William Henry Harrison, Millard Fillmore, Benjamin Harrison, Abraham Lincoln, Ulysses S. Grant, Rutherford B. Hayes, Grover Cleveland, William Howard Taft, Calvin Coolidge, Warren G. Harding, Franklin D. Roosevelt, Harry S. Truman, Gerald Ford, Richard Nixon, Jimmy Carter, and both Presidents Bush. 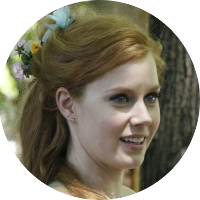 Fellow celebrities with kinship to Amy Adams include S.I. cover model Kate Upton, actress Katharine Hepburn, actor Humphrey Bogart, fashion designer Gloria Vanderbilt, actor John Ritter, actress Lucille Ball, singer and songwriter Janis Joplin, and many others. Some historical kin include U.K. Prime Minister Sir Winston Churchill, painter John Trumbull, Revolutionary War hero Ethan Allen, signer of the Declaration of Independence William Ellery, American folk hero Johnny Appleseed, poet Emily Dickinson, author Harriet Beecher Stowe, aviation pioneers Amelia Earhart and the Wright brothers, and many others.